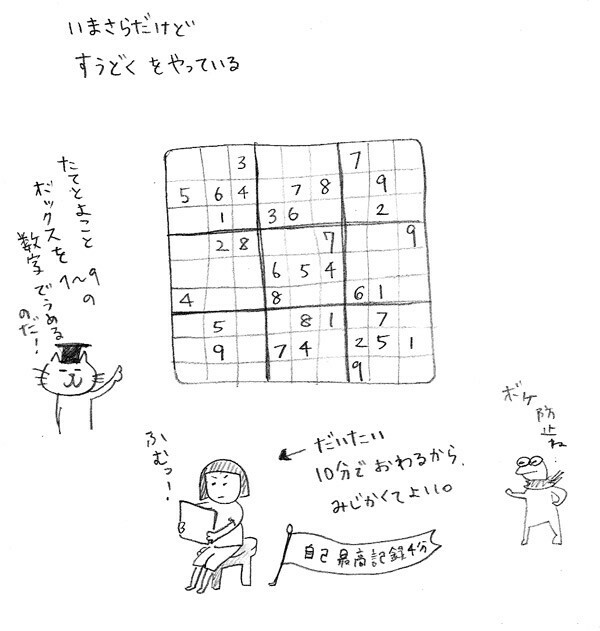 Nowadays, I am into Suudoku which is a game to fill numbers on 9 boxes. It's simple, but kinda difficult. I usually finish around 10 min. It helps to refresh my brain. My best score is 4 min!